very nice product with huge specifications and high ram of 16 gb and 1 tb hard disk . just loved the product and will recommend to buy to others. GOOD PRODUCT WITH A GOOD PRICE. Huge space with 16 gb ram,good for professionals like me.Loved the graphics and display. 2 Pricebaba users have written their experience with Dell Inspiron 5559(Y566513HIN9) (i7 6th Gen/16GB/1TB/4GB GFX/Win 10). If you own Dell Inspiron 5559(Y566513HIN9) (i7 6th Gen/16GB/1TB/4GB GFX/Win 10), please do leave your feedback too. Dell is a highly trusted brand when it comes to Laptop. Dell has provided both durability and robustness in their laptops over the past. The Dell Inspiron is another exemplary addition to Dell’s vast Laptop offerings. 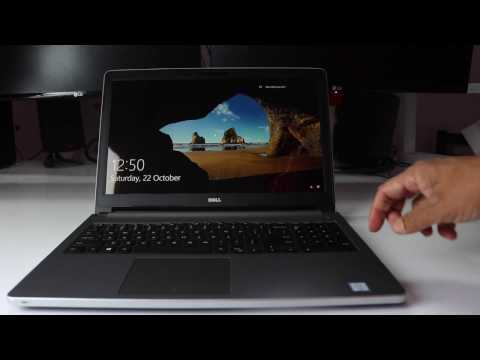 The Inspiron 5559 is a high-end and power-packed laptop from the company. Dell Inspiron 5559 (Y566513HIN9) comes with a 15.6-inch display with a resolution of 1920 x 1080 pixels. There is a Headphone + Microphone Combo Jack for connecting audio equipment's. With 2 tuned Speakers with Waves MaxxAudio, we're hoping consuming multimedia on this one would be a wholesome experience. Powering this laptop is a 2.5GHz Intel Core i7 (6th Gen) chip. It has 16GB of built-in RAM. This laptop comes with a 2TB Hard Drive (HDD). The platter on this hard drive spins at 5400 RPM. The storage interface is in form of SATA. Dell has included the AMD Radeon R5 M335 graphics chip inside this computer. This machine has 4GB Graphics of the GDDR3 variety. This laptop is powered by a 4 cell removable battery. It offers maximum of 7 hours usage without charging. The legacy of USB 2.0 lives on with this machine, as it features that port. In addition to USB 2.0, you also get the faster USB 3.0 connectivity. All your CDs and DVDs can still be used thanks to the optical drive support. If you're in an area where there's no WiFi, you could connect to the Internet via the supplied LAN port. To transfer photos from a digital camera to this laptop, you can use the following media cards: SD, SDHC, SDXC, MMC. If you like to use external devices like a Bluetooth keyboard, this laptop would be able to connect with it. Video as well as audio can travel through the same cable to a big screen, using its HDMI port. The Inspiron 5559 runs on Window 10 operating system out of the box. Dell has provided 2 Years onsite & accidental damage warranty.